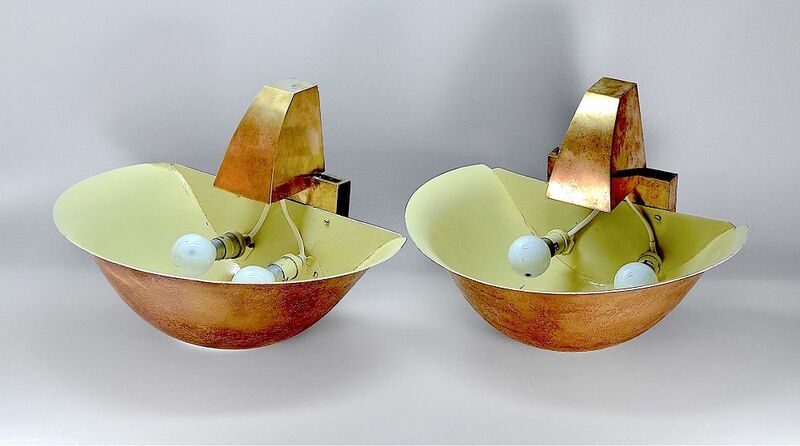 These absolutely fabulous bronzed metal wall lights were made by Galery Freres in the 1930s. Basically each wall light is a large lipped bowl with a flat back. Attached to the back of the bowl is a plaque on top of which is an arched piece of metal that extends over the back and across the top of the bowl. 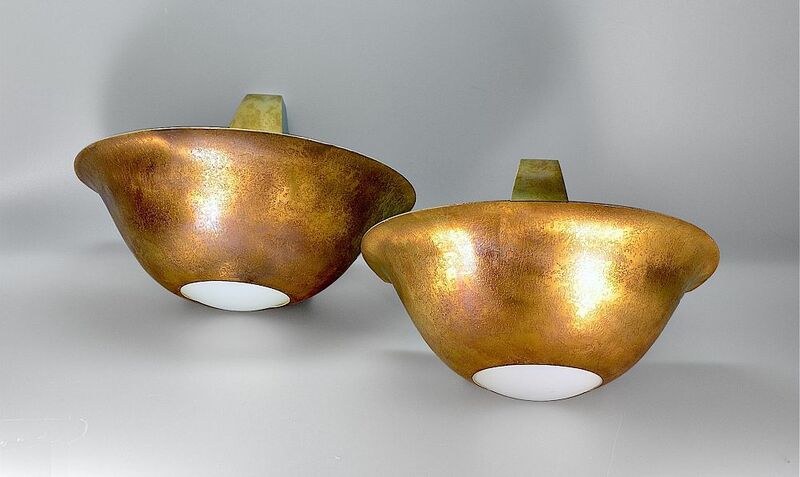 There are two circular pieces of white opaque domed glass that fit into the bottom of each bowl so that the light from the two bulbs in side the bowls goes down as well as up. The insides of the bowl are painted to reflect the light. These ARE the best wall lights that we have ever had.